Yannick Bolasie has left a host of Premier League defenders bamboozled by his trickery down the wing over the past four seasons. But not so many fans would know that the 28-year-old's ball skills are matched by his lyrical ability. 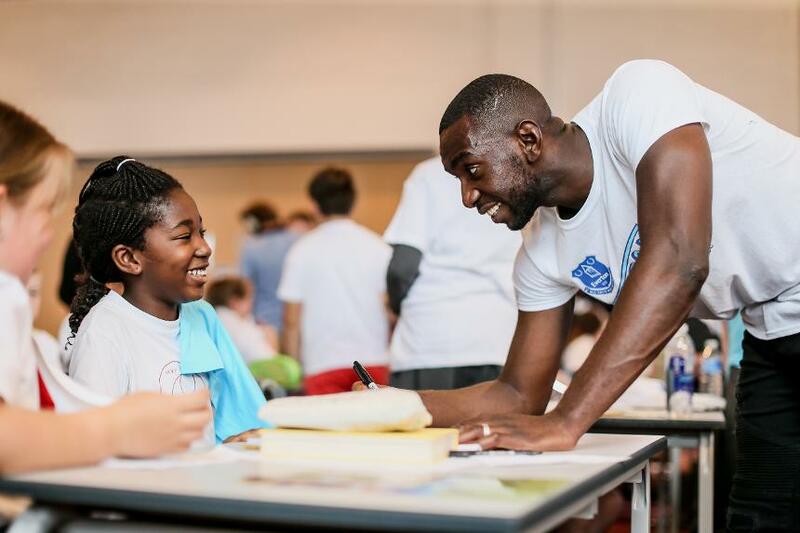 The Everton winger hosts his own MC battles and, with such a keen interest in the creative use of words, Bolasie was eager to help the Premier League Writing Stars competition. Open to all primary schools in England and Wales, the competition aims to get young people writing poetry in different creative forms. To support the launch, Bolasie visited Holy Trinity Catholic Primary School, in Liverpool, to meet pupils and take part in a rhyme battle. "As a parent I know how important it is to keep young children motivated and engaged with learning," Bolasie says. "This Premier League Writing Stars campaign not only underlines the importance of resilience in life but also shows that poetry can be fun and can take many forms including song lyrics and raps. "I hope that by seeing the different names involved in the campaign it will inspire children to create their own poetry, in whatever form they like." 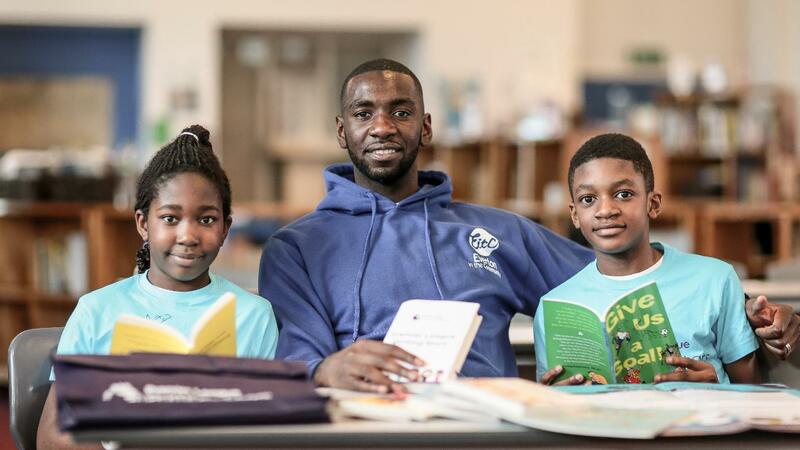 Bolasie is one of the top football and literary names, including Frank Lampard, Waterstones Children's Laureate Lauren Child and Young People's Laureate for London Caleb Femi, on the PL Writing Stars judging panel. The PL Writing Stars competition is inspired by the William Hickson poem "Try, Try Again" and asks school children aged between five and 11 to write around the theme of resilience; what does it mean to you to try and try again? "Resilience is something every footballer certainly knows about," says Lampard, who has authored 19 books in his "Frankie's Magic Football" series. "Encouraging children to think about what it means to persevere and keep trying is a hugely valuable life lesson and I love that this message forms a core part of the Premier League Primary Stars programme and Writing Stars poetry competition." Teachers and parents can register or nominate their child's school to take part in the competition at PLPrimaryStars.com.